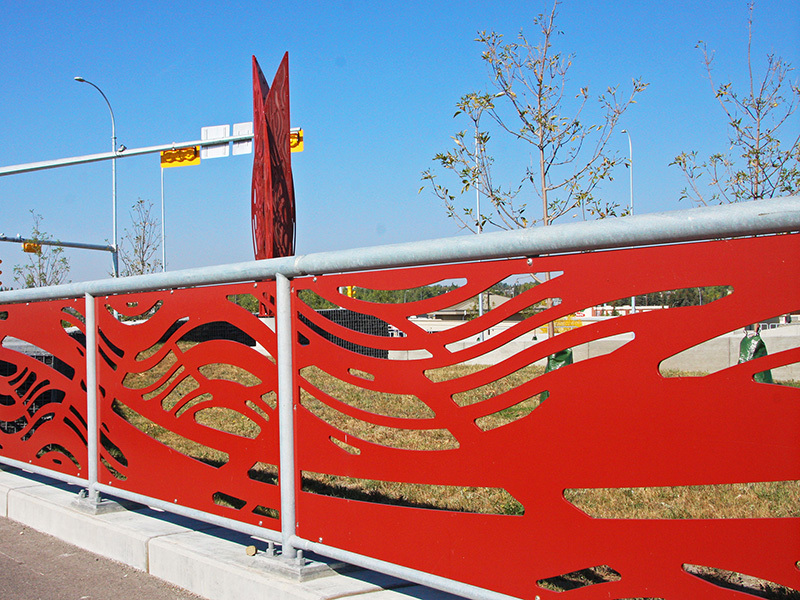 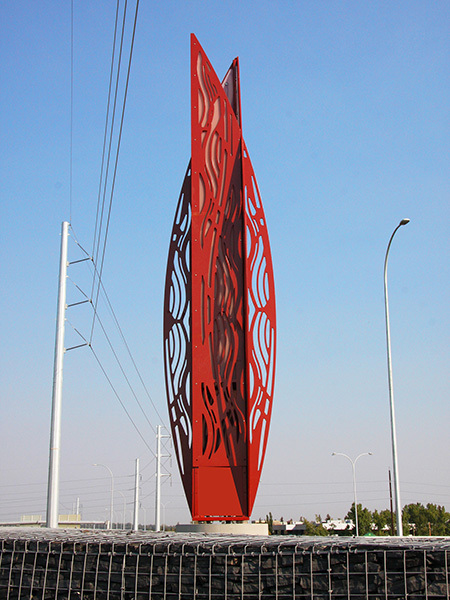 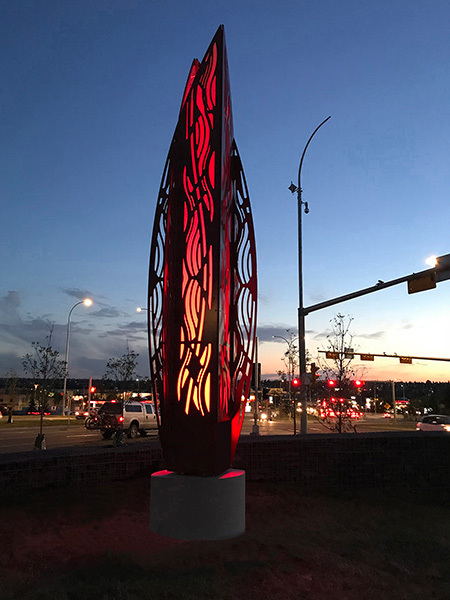 This project enhances two new side-by-side bridges in southern Calgary with grills across their spans and railings above, marked by two towers marking the pedestrian path. 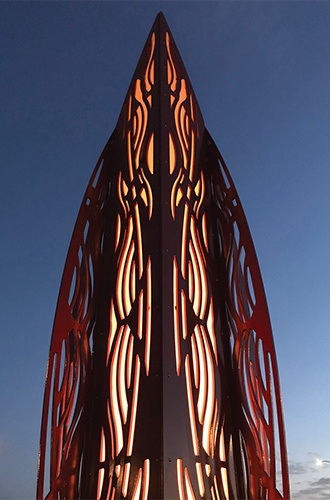 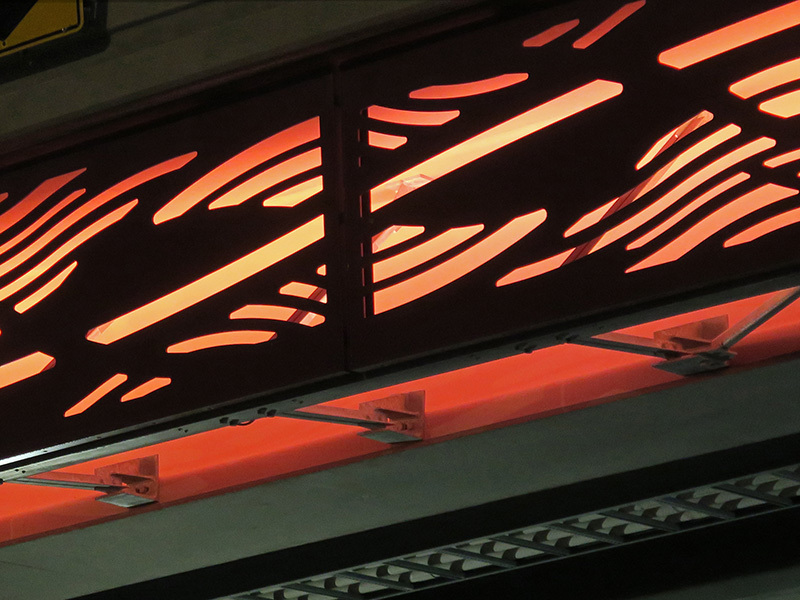 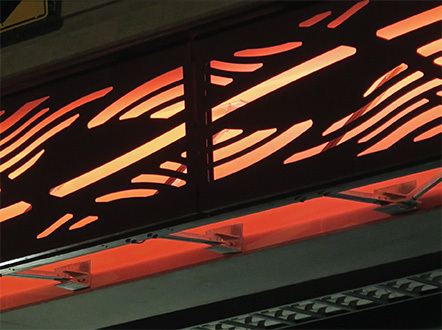 The grills, towers and rails feature laser-cut metal patterning inspired by motion, the sky, the site, and nearby waterways. 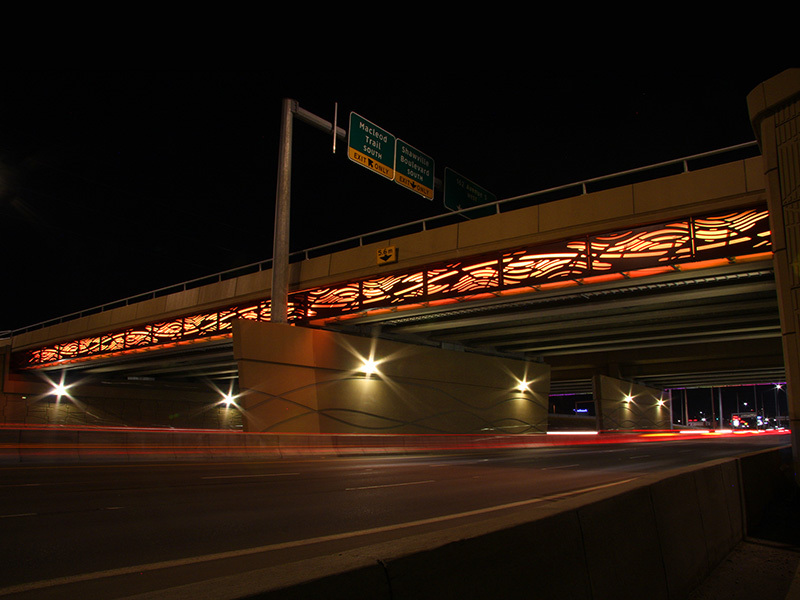 These bridges are part of an innovative highway interchange called a diverging diamond. 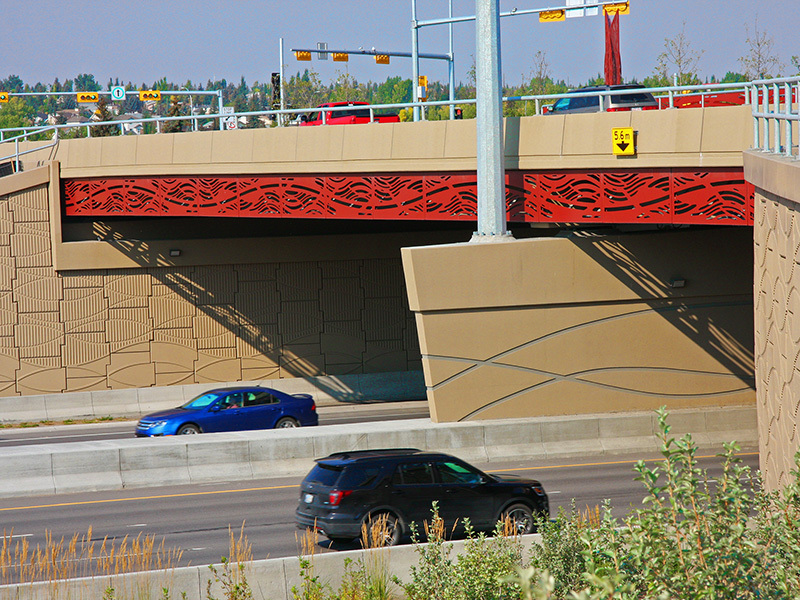 This new style of overcrossing is growing in popularity and its unique curving geometry influenced the patterning. 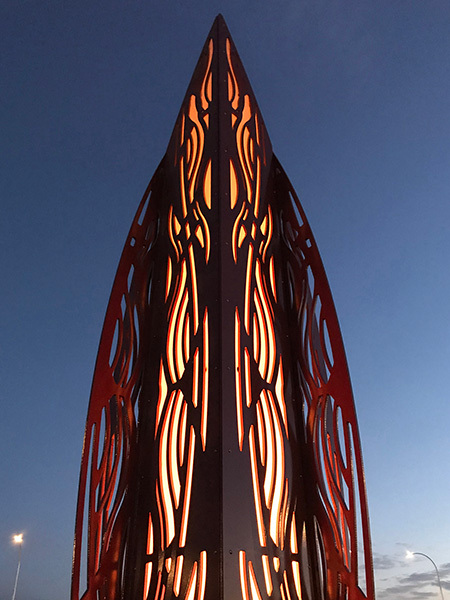 Our design concept is inspired by the perception of motion, as pedestrians, drivers and cyclists moving through the site, at various speeds, will experience it. 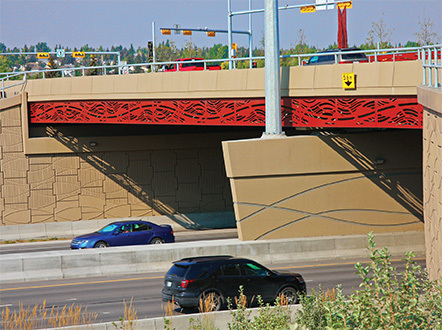 The pattern language includes overlapping curves to imply sine waves, relating to the concrete patterning of the MSE walls, created by the design team. 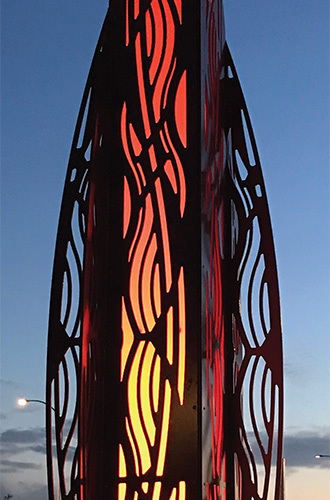 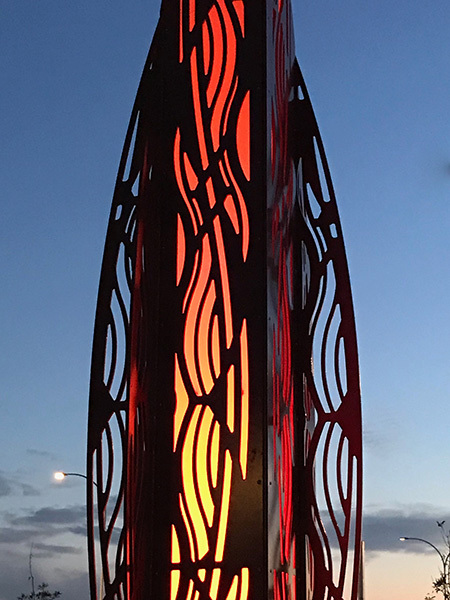 At night, the grills and pedestrian towers are illuminated with programmable LED lighting promoting community connectivity with seasons, holidays and place.